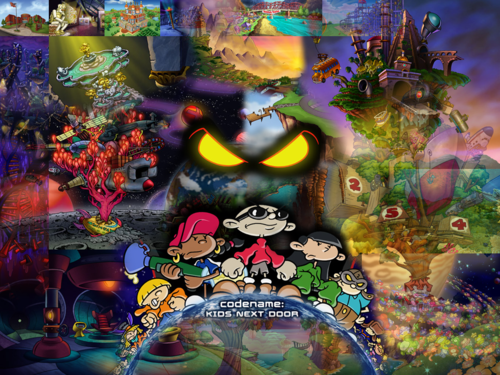 KND Desktop wallpaper. I used this on my computer a few years ago. It's made up of artwork from the production blog, including the movie poster. It's a bit busy but fun!. 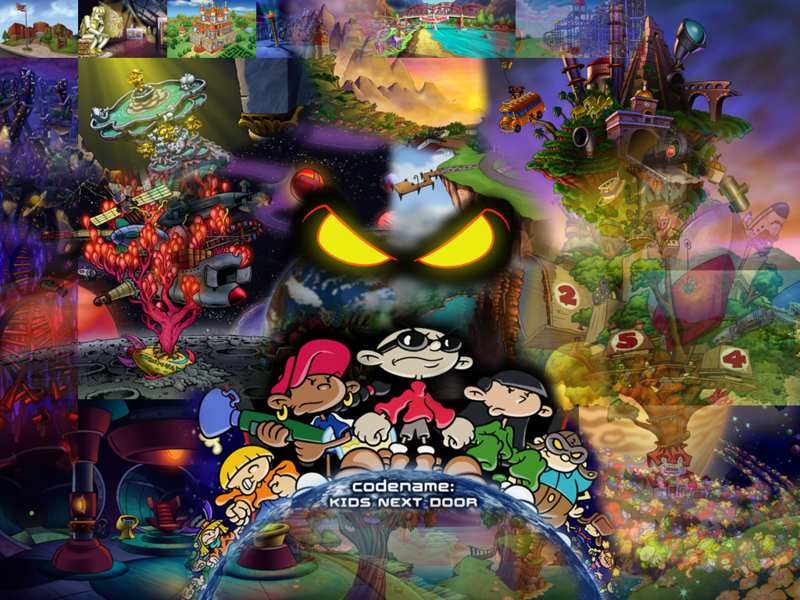 HD Wallpaper and background images in the Codename: Kids seguinte Door club tagged: photo codename kids next door knd sector v.
This Codename: Kids seguinte Door wallpaper contains anime, banda desenhada, manga, desenhos animados, mangá, and quadrinhos. There might also be vitral. 10 Great Reasons to watch Codename: Kids seguinte Door!